Paneer tossed in green Lettuce Paneer Salad is very healthy and interesting dish which you can eat any time in the day. This salad has a fresh crunch and taste due to fresh lettuce and light fried paneer cubes. 1. Heat oil in a pan and light fried the panner cubes. Set it aside. 2. 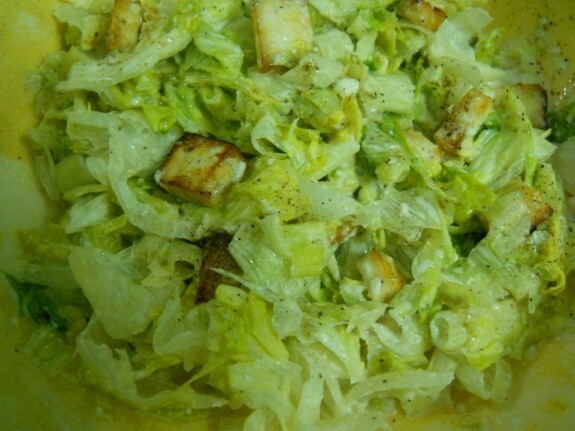 Now take a bowl and add lettuce and fried paneer cubes. Mix it well. Now add sesame oil and mayonnaise and again mix properly. Add black pepper powder lemon juice and chaat masala powder. Mix everything well. Sprinkle some salt if required.